The name Hawker has always been an important name within the Royal Air Force ever since the force’s inception in April 1918. Many of you will be familiar with the iconic name Sopwith, arguably the most famous producer of aircraft in WW1, thanks in no small part to the Biggles books! Tommy Sopwith built an incredible collection of fighting aeroplanes but was left with the prospect of an enormous tax bill when hostilities ended and the government calculated just how much money he’d made! A long time collaborator of Mr Sopwith was his chief test pilot, Mr Harry Hawker. As part of a rather clever scheme to abandon the liabilities of the wartime profits Sopwith took the decision to close the Sopwith company and start up a new company with Hawker’s name in 1920, then known as HG Hawker Engineering. 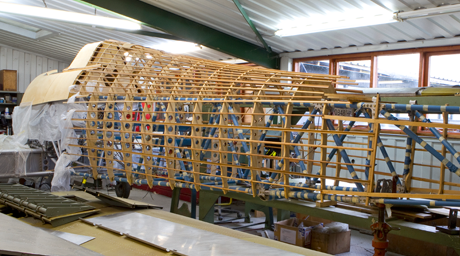 This is fitting as Hawker Restorations were also responsible for rebuilding a Sopwith Camel many years ago. 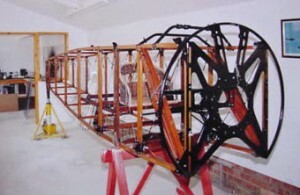 Early designs saw light sport aircraft such as the Hawker Cygnet, which saw Sydney Camm first cut his teeth at aircraft design. 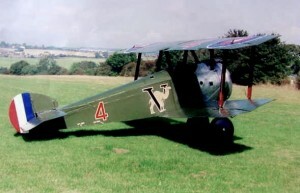 The genesis for Hawker’s most famous design arrived in 1928 with the first flight of the Hawker Hart. The Hart was one of the iconic “Silver Wing” biplanes of the 1930s and started an impressive line of aircraft ranging from the compact Hawker Fury through to the mighty Hawker Demon. These became part of the final stand for the biplane and led the way in the impressive design features that would make up the Hurricane. Those 1930s biplane designs made use of the tubular steel construction, combined with fabric covering that was a large part of the Hurricane design. Many have pointed out the clear comparison between the Hawker Biplanes and Hurricane fuselage, sharing a very familiar profile. The Hurricane first took to the skies in November 1935 from Brooklands, a few months ahead of the Spitfire which it would go on to share history with. 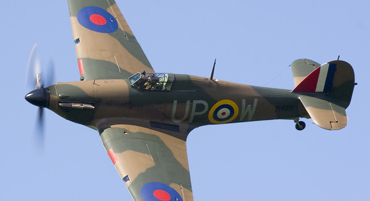 Thanks to the (then) ease of construction in comparison to the more modern Spitfire, the Hurricane was able to be produced on mass scale before the war began and the type played a key part in the early days of war. It is well known that the Hurricane was responsible for shooting down far more enemy aircraft than the Spitfire. 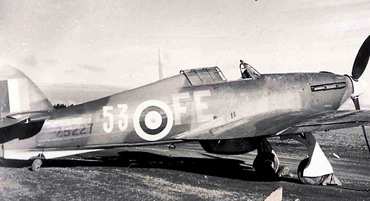 The Hurricane was one of only a handful of types (other notable inclusions being the Spitfire and Fairey Swordfish) to be in service on the first and last day of the war. What was more impressive is that unlike the Spitfire, the Hurricane retained the same basic design and engine configuration throughout the conflict. Yet without huge re-designs it was able to turn its hand to ground attack, “tank busting”, night-fighting and even training new pilots as the end of the war approached. Hawker would have more to say after the Hurricane of course, with icons such as the Typhoon and Sea Fury playing important roles in WW2 and Korea. Post war they produced some of the most famous jets including the Hunter and early variants of the Harrier. The Hurricanes that Hawker Restorations have restored over the years will all without doubt play a big part in this years’ celebrations as the country pays tribute to 100 years of the Royal Air Force and the important part that the Hurricane, Hawker and Sopwith have played in that story.